Genesis on Wednesday unveiled the Mint Concept at the 2019 New York International Auto Show. The concept is an electric city car that attempts to demonstrate how luxury in the automotive sense doesn’t always have to mean big and powerful. Think of it is a more upmarket Smart Fortwo or Mini Hardtop. The Mint is designed to seat two and features a battery-electric powertrain capable of delivering 200 miles of range. The battery is also capable of supporting charging at up to 350 kilowatts, meaning an 80-percent charge in under 15 minutes could be possible. The Mint also showcases Genesis’ design themes on a new type of body style for the brand. Key traits include the twin-element, wraparound lights front and rear, trapezoidal grille (sealed-off for better aerodynamic efficiency), and smooth, muscular surfacing. 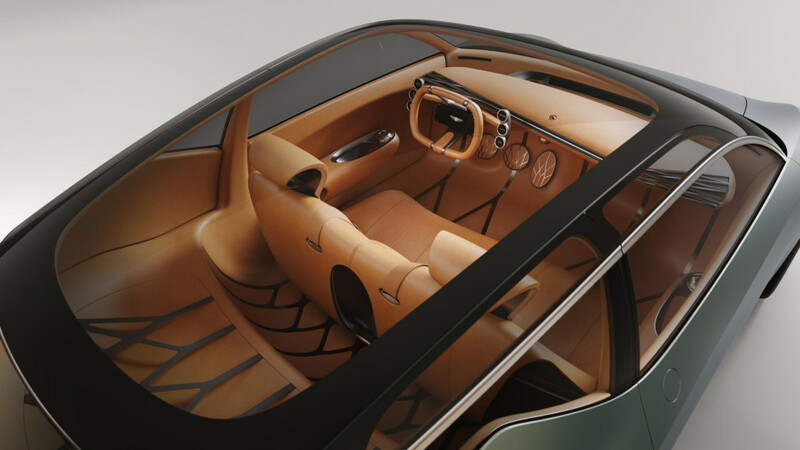 Meanwhile the interior features materials and build quality you’d find in an ultra-luxury GT, and instead of a trunk at the rear the designers have gone with a parcel shelf, access to which is gained by supercar-style scissor doors. While production hasn’t been confirmed, expect to see electrification play a bigger role at Genesis going forward. Genesis boss Manfred Fitzgerald has reiterated on multiple occasions that electrified powertrains are very much the future of the brand, with plug-in hybrids to come first and then battery-electric and possibly even hydrogen fuel cell-electric as the next step. We’ve already seen an electric car from Genesis in the form of the Essentia concept shown at last year’s New York auto show. While the handsome coupe was meant to usher in the Korean luxury brand’s latest design language, and mark its transition toward electrification, Erwin Raphael, head of Genesis North America, last September strongly hinted at a production version, so perhaps a Genesis EV will be in showrooms sooner rather than later.